Building shop not only provide construction materials but also the decorative materials you need to ensure a stylish finish. 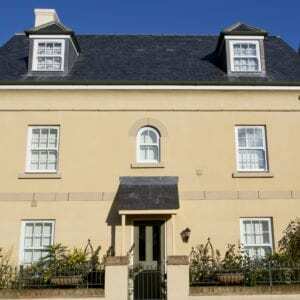 Our external decorative materials include Render that is thoroughly coloured, weather resistant and only needs one coat for a fantastic finish. We also supply the Rend Aid to ensure your surface is thoroughly prepared before applying any Render. Whether you’re decorating your home, garage or out-buildings, we can help.